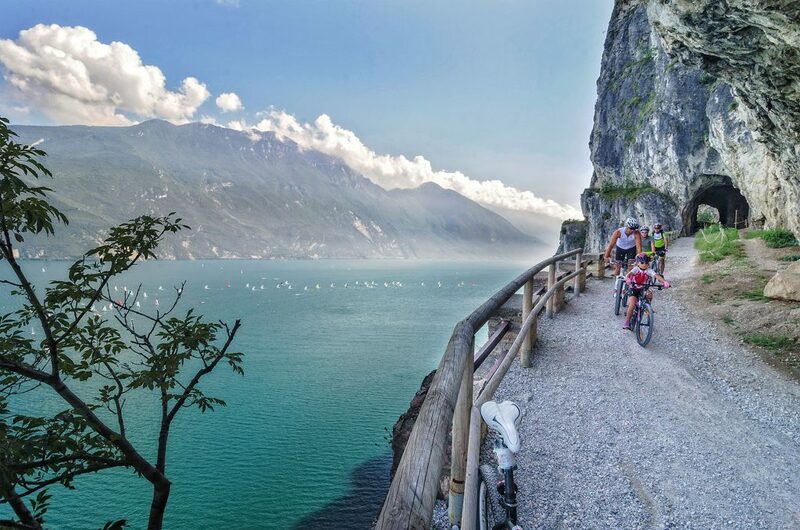 There is no better place than Lake Garda for bike lovers. There are more than one thousand kilometres of waymarked trails for all abilities, from beginners who want to go on easy outings, to more experienced riders with a high level of commitment. Lake Garda is also an ideal place for regattas accessible all year. It is always possible to go sailing on Lake Garda because of its constant winds: the Ora, which blows from south to north from late in the morning to late in the afternoon and the Pelér that blows from north to south from early in the morning to noon. This steady and punctual flow of air is the driving force behind sailing events of high standard organised on the lake. Peisajul este superb! Sa fie imbinat si cu ciclismul, deja inseamna perfectiunea. Liniste si putina miscare este ceea ce vrea oricine.